Chocolate Indulgence Strawberries are any chocolate-lover's dream come true. 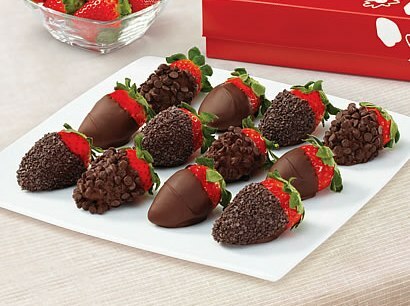 Each berry is hand-dipped in gourmet semisweet chocolate blend. For added indulgence, four of the strawberries are dipped in miniature chocolate morsels, and four are dipped in rich chocolate micro drops. The perfect gift for any occasion that calls for pure chocolate perfection.